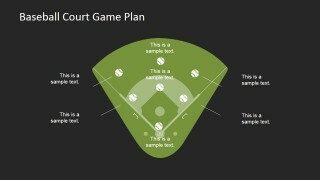 Bring home the bacon using this Baseball Court Game Plan PowerPoint Template during business and sales presentations. 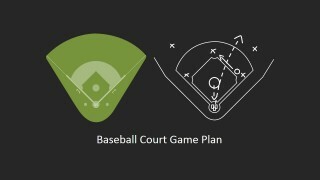 Sports analogies are famous among business people. Business concepts are better understood using the equivalent terminologies used in well-loved sports that the audience can relate to. Baseball is popular and like any other sports, good gameplay, team playing, and determination to win are essential elements to claim victory. Such concept is also true in business. Indeed, the company has to be fully prepared before stepping out into the competitive world of business. 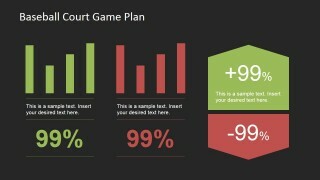 This PowerPoint Design may be suited to present business strategies and tactics. 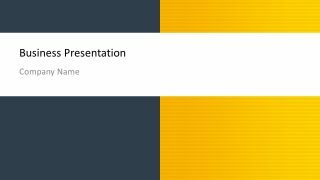 Using this PowerPoint Template, the presenter may come up with many metaphors that useful for business presentation. 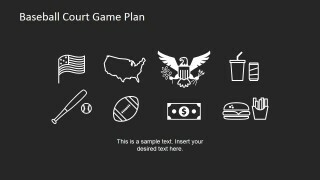 The bases may symbolize the stages of a business process or hierarchy of the company. 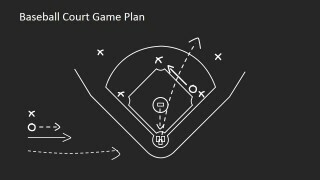 Substitution of players may relate to job rotation of employees and other management techniques. 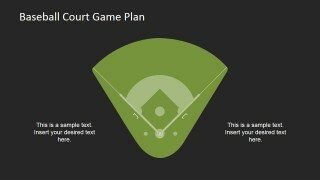 Assigning of employees may also be discussed in this Baseball Court Game Plan PowerPoint Template. As a team sport, it is essential to identify positions and responsibilities to avoid confusion. Having good team play can make everything much easier to achieve. Even the game itself may represent the competition of the company with the other major players in the market niche where it belongs. 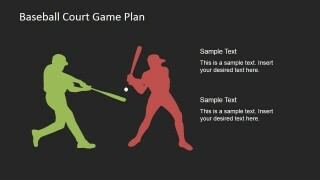 Like other famous sports, baseball has World Series as well, the ultimate competition of different countries. This may represent the position of the organization in the world market. 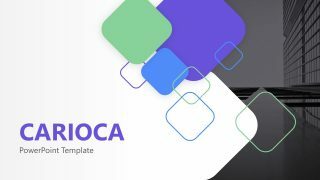 The overall design of the PowerPoint Template is visually appealing and is effective in facilitating the quick and easy understanding of the presentation by the professional audience. 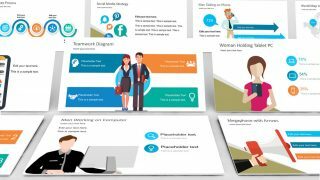 The flat PowerPoint Icons and clipart in the slides are created in high definition shapes and are 100% customizable to suit the specifications of the presenter. 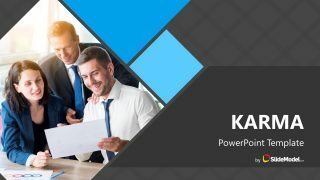 The presenter may easily modify any of the PowerPoint clipart without affecting their image quality. 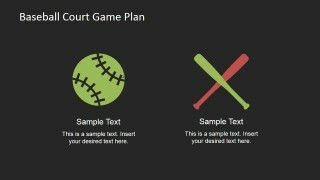 Give your audience first row experience of the business presentation using this Baseball Court Game Plan PowerPoint Template.